Mike, I do agree with the impact this issue is having on our community. It has been frustrating that nothing has changed in the last couple years. It seems it is more political posturing and gamesmanship than it is anything else. I am growing tired of it, as it seems you have also. I have talked to our local mayors, people from the hospital foundation, people from WRMC, and folks from the business community. Everyone sees the importance, but nobody is picking up the ball. Does anyone have any ideas on how we can spur activity ? Folks, as you also know, I am vocal on the 24 hour real emergency room issue closeby to Cherokee Village. It is our biggest issue. If we do not get this accomplished in the next year or two, I really do feel CV will head in the downward direction that Hardy has already experienced. It is real and it has affected everything in northern Sharp County. This must be done or it's over for CV as Cooper envisioned for the village. 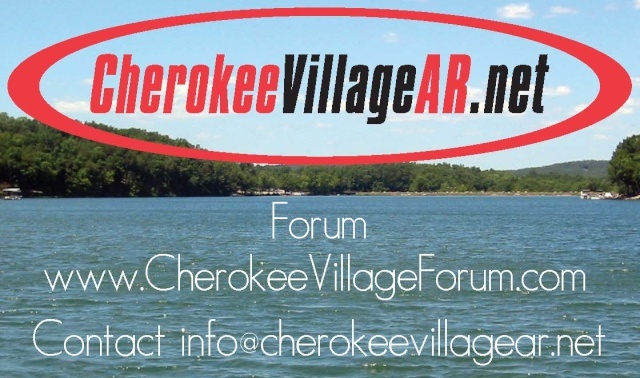 I hate to be negative, but I see the ER issue as the most pressing issue we have in Cherokee Village. If we get it, we thrive again. If we don't, say good night. CV will fall to far to recover back to Cooper's vision. It's just that simple. to keep the ER staffed around the clock. The fact is that they found another source through an outside ER doctor supply company out of Little Rock. The issue is that we keep finding ourselves struggling year after year locally to have 24/7 dependable care. It always seems to be on the edge of falling apart. We need to deal with this issue in both Sharp and Fulton in a way that stops the drama. If we cannot have a full service hospital, which would both keep residents from moving and provide decent local jobs, we need a 24/7 ER that is top-shelf all the way in both Fulton and Sharp. Does anyone have any status report on any developments? I know that there are leading citizens trying hard.